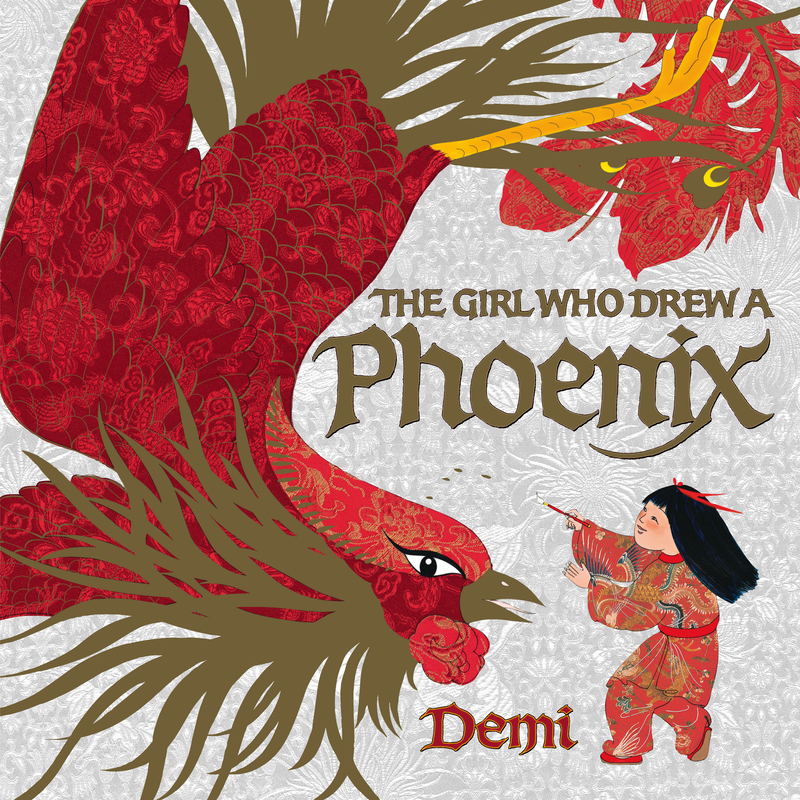 One day a young girl named Feng Huang finds a phoenix feather that has fallen from the sky. When she tries to draw the magical bird and share her inspiration, no one is able to tell what it is. Luckily for Feng Huang, the Queen Phoenix sees her troubles and swoops down from the heavens to offer her help. A phoenix's powers are not easily revealed, however, and Feng Huang embarks on a journey of thought, wonder, and self-discovery. Wisdom, Clear Sight, Equality, Generosity, and Right Judgment are worthy qualities indeed, but Feng Huang finds that they are only truly powerful when shared. Brilliant sweeps of plumage and flourishes of sparkles and stars accentuate award-winning artist Demi's interpretation of one of the most intriguing and elegant creatures of ancient myth.